The star said she was "devastated" after she was advised by medics not to perform or travel for long periods of time. One of the cancellations is a concert at London's Royal Albert Hall. 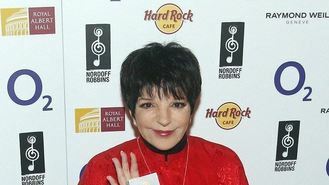 A statement on Liza's website said: "Liza Minnelli's physicians have advised her not to perform or travel for long periods of time because of a medical condition. "As a result, her concerts in Europe, which were scheduled for July, have been cancelled. "We are discussing rescheduling dates at an appropriate time. Liza wants her fans to know she is devastated not to be able to perform right now but will see them soon." Under the listing for Liza's July 2 concert on the Royal Albert Hall website, it says: "Unfortunately this concert has been cancelled due to illness. "We will be contacting those who have purchased tickets through the Royal Albert Hall to arrange full refunds."